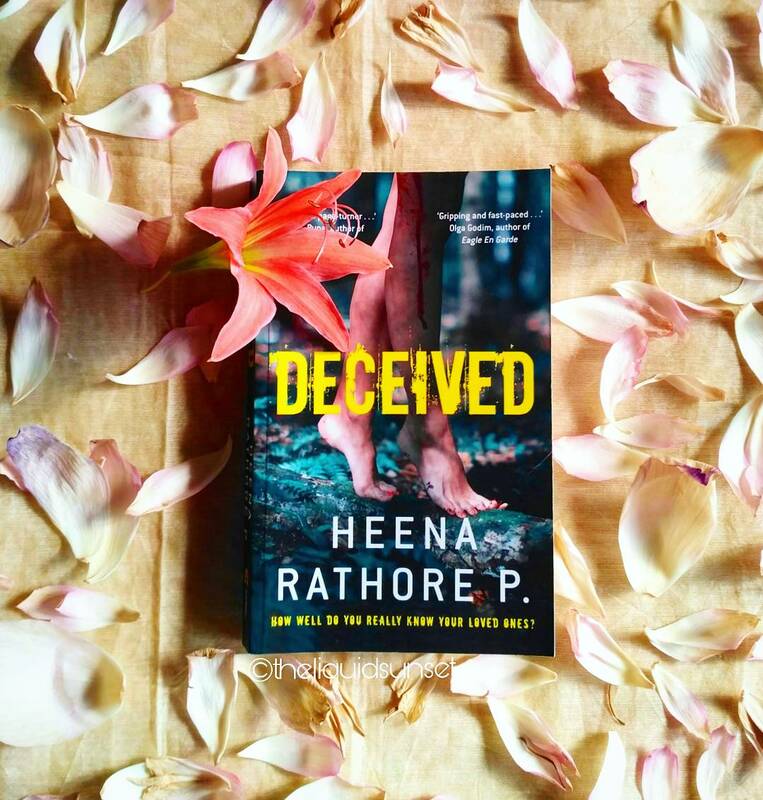 Book Review : Deceived by Heena Rathore P.
Synopsis : A girl struggling to cope with the murders of her mother and five-year-old brother. My view : You know a psychological thriller is really good when it gives you terrible nightmares. Well, I haven’t been able to sleep in peace these last few days. Allison’s gruesome fate kept me tossing and turning. The introduction to the book in itself makes a great read where the minute differences between a psychopath and sociopath is clearly defined. And then we are left with a shocking incident where a little child is accused of the murder of her parents. Is that even comprehensible? We get to know more about that gradually. Allison Stone, is left with her dad, Stephen Stone, to grieve the death of her mother and her 5 year old brother. A slowly recuperating Allison tries to make peace with her grief. She meets Danny and finds rays of happiness. What happens next is for you to find out. I finished this book in one seating and I advise you to keep a few hours empty from your schedule when you are starting with this book because there is no way that you can let it go for even a few minutes. The story gets to you and gnaws at your wit. The pages turn faster as the chapters proceed and you keep guessing the next thing that is going to happen but you are always wrong. That was the best thing about the book. It was extremely unpredictable. Even when I thought I had it, I was cleverly surprised by the turn of events. Elizabeth Lawson’s character was that of a highly organised psychopath. The mishaps in her life are so disturbing that you end up having concern and pity for her. More than the pity there is this concern about what she might do once she is wronged. The 13 year old Beth scared me leaving with that unsettling question. If her childhood was not full of pain and anxiety, could the murderous aftermath be stopped? The most beautiful part of this book was the connection between Allison and her German Shepherd, Max. The bond between them was so deep and eventually, a person like me, who is mortalised by the presence of dogs, fell in love with Max. He is the best companion for Allison and he continuously supported her with his unconditional love. Apart from the amazingly crafted characters, who have hints of grey to their shade, the book has a brilliant plot and the small shady town where it is set in is apt to the story. It scores high on unpredictability and psychological drama. There are hair-raising moments which you will wish you didn’t witness. As a whole, this book is a success and the best debut Heena could have come up with. The cons- the journal entries of Michael. Personally, I felt that they could have been more filtered. Also Steve’s rants in the book felt a little unnecessary at times. His actions were too frustrating and naïve. How could he expect getting hold of the killer in such a lame and carefree way? This is one of those reviews that I have had the most amazing time writing. And if you have a brave heart and are not scared of spine-chilling thrillers then be ready to get hold of this book on 24th of June, 2017.